As busy women, we deserve to take a few minutes from time to time to destress. It helps us focus, stay calm, and essentially be able to get more work done. 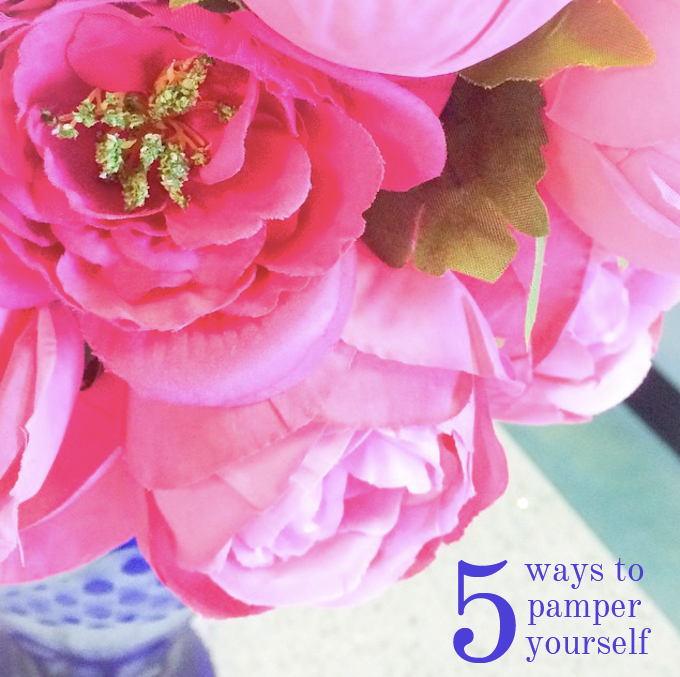 But why is it that we feel guilty about taking time out of our day to pamper ourselves? I don't know about you, but even when I head to a salon, I often catch myself checking my watch or getting antsy. The reality is that I am not missing anything, and that the time I spend in the chair is just as important as the time I spend working. It's all about productivity, y'all. 1. Sign-up for your favorite workout class. While I am the first to admit that working out isn't exactly pampering, it is definitely a way to destress and take time for yourself. 2. Get a mani/pedi WITH the extras. Massage? Yes. Sugar scrub? YOU BET! How often do you turn down those little extras so that you don't spend the money or so that your trip to the salon doesn't take as long? Do yourself a favor and say yes to all of those additions. Head to a one-stop shop like Three-13, Spa & Boutique where you'll be treated from start to finish. The knowledgable staff will ensure that you have a wonderful experience. Three-13 specializes in everything from facials to massage to hair. I tried their spa manicure and pedicure, complete with paraffin treatments, and it was truly amazing to be able to relax while being pampered. 3. Splurge on new hair. Maybe after your mani/pedi at Three-13, Spa & Boutique, you book a hair appointment, too. I always feel better after I get a fresh cut or color, and the specialists at the salon are top-notch. From the shampoo room to the stylist's chair, you'll be treated to the ultimate experience. 4. Take a nap. I mean, seriously, is there anything better than a nap? Don't feel guilty if you need a mid-day pick me up, indulge yourself instead! All content not sourced is copyright of Probably Polka Dots. Powered by Blogger.